Good news! 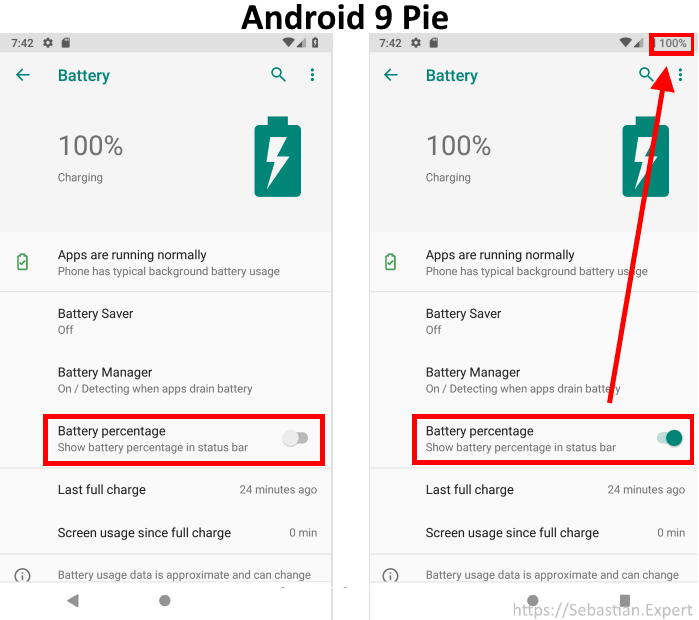 showing battery percentage in status bar in Android 8 Oreo and Android 9 Pie does not require any tricks with System UI Tweaker - you can do it straight from Settings!. Please notice that there are many Android distrubutions and remixes. Some of them might have moved this settings to its own tweaking application like for example Resurrection Remix OS moved it to its own Configuration option is Settings. Instructions below refer to stock Android from Google like one installed on Google Pixel or Android One devices. I see critical comments here. 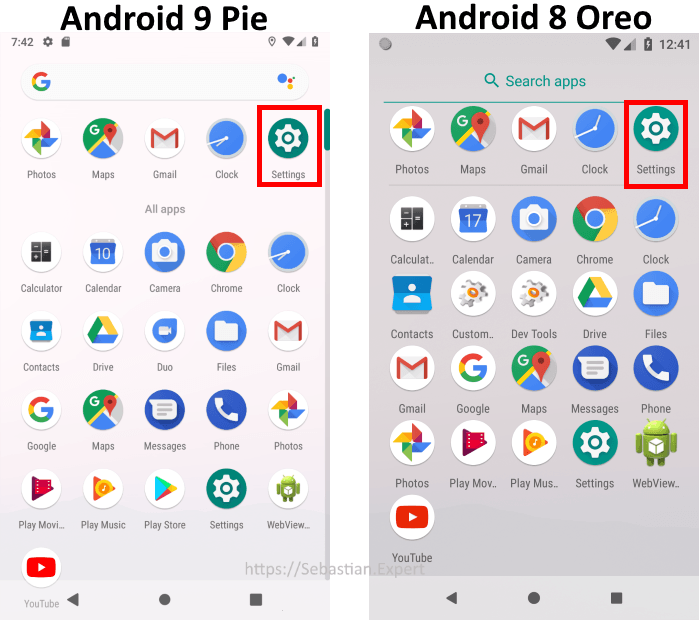 Just tried it and it works on my pixel phone with Pie. 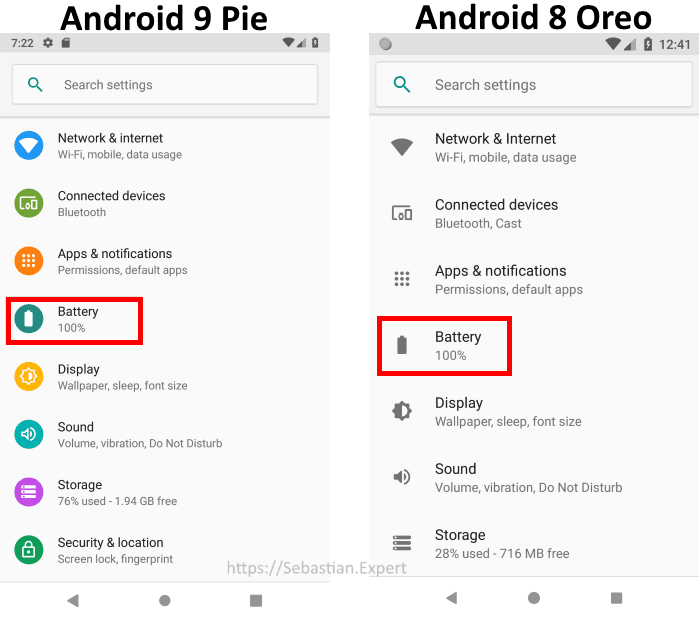 Actually they’re right, in android 9.. the latest version, it doesn’t have that option under battery.. hence the reason I’m even on this website looking for a solution. I just got my phone back from Samsung today with the latest updates.. so yeah, this is outdated as far as android 9 goes. Thanks for the advice nonetheless. Like I wrote, every phone manufacturer customizes Android system on their phones. Samsung does not use the vanilla version. Screenshots were taken on latest Android image downloaded straight from Google servers. The same that Google Pixel phones use. Instructions are incorrect for Pie. From the home screen pull down from the top. You will see the time, date, a search feature and the gear for settings. Pull down again and this time you will find three dots. Click on the three dots then click on status bar. Choose show battery percentage and you’re all set. Like I wrote in another comment – there are a lot off flavors of Android. I used a stock image from Google. Thank you for sharing steps which worked for you. My battery percentage only shows when I pull down the status bar. The options that this shows are not on my factory unlocked note 9. 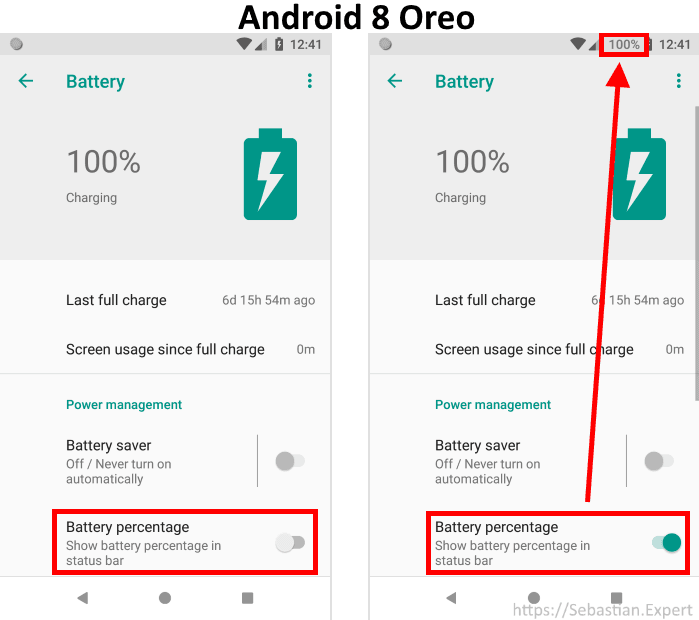 Screenshots are taken on Android 9 – so the option is there. You must have some heavily customized Android version like MIUI.